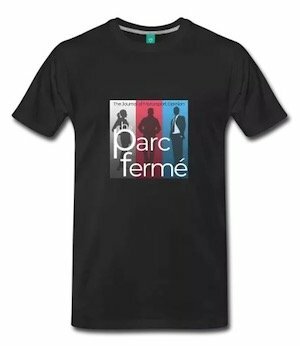 Our website address is: https://theparcferme.com. We use a simple contact form for WordPress. If you submit a contact form, it collects your supplied email address and the name you choose to use in that contact form. We do not use any of that data for marketing purposes. We are very concerned about your privacy and we will never provide your email address to a third party without your explicit permission, as detailed in the “Sharing Your Information” section below. Formula1blog.com* may send out e-mails with Formula1blog.com-related news, products, offers, surveys or promotions. We use Google analytics, WordPress analytics for the website and Soundcloud analytics for our podcast RSS feeds. theparcferme.com Personnel: theparcferme.com personnel and authorized consultants and/or contractors may have access to user information if necessary in the normal course of theparcferme.com business. Business Transfers: In some cases, we may choose to buy or sell assets. In these types of transactions, user information is typically one of the business assets that is transferred. Moreover, if theparcferme.com, or substantially all of its assets, were acquired, user information would be one of the assets that is transferred. Syndication: theparcferme.com allows for the RSS syndication of all of its public content within the theparcferme.com website. Visitor comments may be checked through an automated spam detection service. All data is sent to our hosting provider, Siteground.com, and stored on their hosting server network via a dedicated server (not shared with other websites). More information about the security measures and GDPR compliance of their hosting platform can be found here. Data is protected through standard WordPress and Akismet software encryption and protocols which are updated regularly. You must be 13 years and older to register to use the theparcferme.com website. As a result, theparcferme.com does not specifically collect information about children. If we learn that theparcferme.com has collected information from a child under the age of 13, we will delete that information as quickly as possible. We recommend that minors between the ages of 13 and 18 ask and receive their parents’ permission before using theparcferme.com or sending information about themselves or anyone else over the Internet.